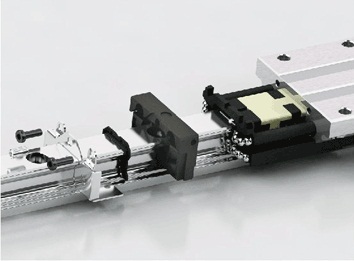 CPC’s linear guides offers very high quality in very competitive prices. Ο type layout and 45o degree contact angle makes place for bigger balls which results high rigidity under load. CPC’s guides have dustproof design and internal lubrication system. Metal re-enforcement allows velocity up to 5m/s and acceleration up to 300m/s2. HR and AR series size starts from 15mm until 30mm with 5mm intervals. Guides are 2m long and can be build from factory to connect without gaps for longer travels. Miniature series starts from 7mm total height.